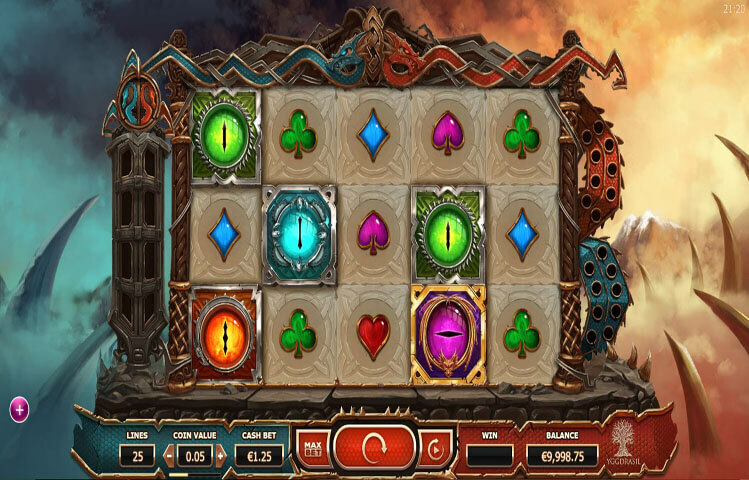 Double Dragons is a Yggdrasil Gaming Powered slot game that is amongst the newest games to be released. The game has a 5 reeled setup that takes players on a dragon themed experience that is epic, fun, exciting and rewarding at the same time. The game has an epic feel to it, thanks to its theme, visuals as well as the amazing soundtrack that players will hear. The background music sounds like something out of great epic medieval movies like Lord of the Rings. The new Yggdrasil Gaming slot machine, Double Dragons comes with an epic theme, which provides players with a one of a kind experience. This experience takes them to a world of dragons and fortunes. The game is aesthetically fantastic, thanks to its amazing detailed and well designed visuals. The developer also added a serious feel to the game through the soundtrack that sounds like epic blockbuster Hollywood movies. All of this helps immerse players into the gorgeous dragon theme of the game. The game’s visuals are fantastic, as the symbols on the slot’s reels include different colored dragon eyes. There is the blue eye, the green eye, the orange eye and the purple eye. There are also the usual low paying icons that come in the form of hearts, clubs, diamonds and spades. The reels of the game are set in the backdrop of a snowy mountain range that is certainly satisfying to look at. The symbols appear spinning across the 5 reels of the game. Each reel hosts 3 symbol positions. This setup is home to a total of 25 wager lines. Players will place the wanted bets underneath the reels by going through the different wagering options that the game has for them. Since the game is a Yggdrasil Gaming title, players can expect a great selection of features and winning chances. So beside the 25 wager lines that the slot has, the game comes packing its own set of special features. For starters, there is the Dropdown wins. These dropdown wins are triggered whenever players create a winning combo. All symbols in that combo will disappear and new ones will drop down to fill their place. This will give players a whole new set of symbols on the lines to give players more winning chances. This will keep happening as new winning combos are created. If players manage to get 4 consecutive wins this way, they will activate the Double Dragons feature. In this round, 2 Highstack wilds will be added that can be up to fifteen symbols long. There are also the Dragons Heads that can be collected so players can activate the free spins round.